When most people think of investing in real estate, they think residential. Everyone's familiar with houses, condos, and apartments. 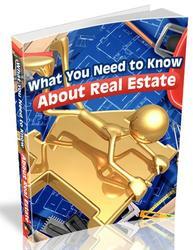 In contrast, many potential investors lack knowledge of commercial properties. Or they think such properties cost too much. But, individual investors now realize that in today's real estate market, many commercial properties offer lower prices and higher yields (i.e., higher cap rates, higher cash on cash returns) than houses, condominiums, and small apartment buildings. Read through the sampling of "for sale" office and retail from around the country (Figure 15.2). As you can see, none of these commercial properties is priced above $325,000. Their cap rates range between 6 and 12 percent, which is typical. Depending on the type of property and the terms of your leases (see later discussion) you may not need a property management company. Likewise you may or may not need a leasing agent. For example, say you own a medical office condominium that is leased to a doctor for a remaining term of 5 years. This M.D. has three 5-year renewal options. If she chooses not to relocate, you enjoy a long-term, virtually carefree investment. The condo association maintains the building common areas. The doctor accepts maintenance responsibility for the interior of her offices. One strong upside of commercial properties is that (in most but not all situations) your tenants operate businesses or professional practices. They establish themselves in a set location. 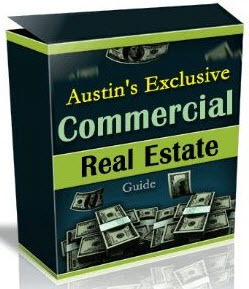 Therefore, commercial properties typically experience low tenant turnover. On the other hand, when you do get a vacancy, that vacancy can last for months—or if you own a specialized property (or a property in an inferior location)—a vacancy can last for years. When you buy a commercial property with expiring leases on the near horizon, verify the marketability of the units (price and time on market). Do not naively assume that you or your leasing agent can quickly rent those vacancies. with two separate income-producing buildings. of 2004 and is fully leased with 3-year terms. Victorian with all of the modern conveniences. building with street frontage on Hatcher Road. appraisal techniques to value this property.) Nevertheless, after balancing the three appraisal methods, you can still negotiate a low purchase price. 2. You've reduced the riskiness of the property (which warrants a lower cap rate). If you can see realistic leasing possibilities that others miss, you will be richly compensated for your insights. Generally tenants who rent residential units sign leases of one year or less. If you don't like the lease (or the tenants) of the previous property owner, no problem. 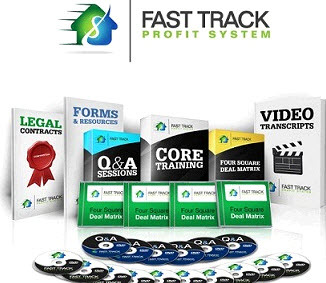 You can get your own lease and tenant policies up and running within a short time. Just as important, commercial leases can differ greatly in their terms. Even tenants who rent units within the same office building or shopping center might have signed very different leases. That's because the terms of commercial leases depend on the market conditions when the lease is signed and the negotiating powers of the tenant and the property owner. You can bet that tenants who sign office rentals in Silicon Valley today negotiate much sweeter deals than those tenants who signed at the peak of the tech boom in 1999-2000. 1. Who pays what? In commercial leases, property owners often shift some (or all) of the property's operating expenses to the tenant. In some leases—especially long-term, single tenant properties—the tenant pays for operating expenses, building repairs, and major replacements (e.g. roof, parking lot, HVAC). 2. On what space does the tenant pay rents? Commercial tenants frequently pay rent p.s.f. But the rentable, square footage may exceed the tenant's private usable space. Some leases require tenants to pay rent for hallways, common areas, HVAC rooms, storage areas, public restrooms, etc. The lease may even specify the precise way the space is to be measured. The method of measurement can add or subtract 5 percent (or more) to the quantity of rentable space. 3. Are the rents inflation protected? If the property is leased to a tenant for 5, 10, 15 years (or longer) will your rent collections increase with inflation? When and by how much? Read Each Lease Carefully. I don't want to make this issue of leases sound too complex. Some owners of small commercial properties write relatively simple, three or four page leases that involve month-to-month tenancies. However, unless you actually read through each existing lease, you won't know what pitfalls may be lurking within the fine print. You do not want to buy a property and then learn than an undesirable tenant still has eight years to run on his lease at a rent level $6 p.s.f. under market. You don't want to buy a small retail center with the idea of bringing in a Dollar General store only to learn that an existing tenant had negotiated an exclusive "general merchandise" clause in its lease. Note: To learn more about leases for small commercial properties, I recommend Thomas Mitchell, The Commercial Lease Guide Book, and Janet Portman and Fred Steingold, How to Negotiate Leases for Your Small Business.